Digital code or cd key for Dragon Ball Xenoverse Bundle Pack, which includes the game Dragon Ball Xenoverse and Dragon Ball Xenoverse Season Pass, downloadable from the official platform Steam. Goku and his friends return to the fray in this new action game of new generation, where we can intervene directly in all the battles of the Dragon Ball series. One of the highlights of this new release is the high level of customization with which we can create our own hero with unique abilities and incredible powers. This package includes, besides the original game, the Season Pass to greatly extend the gaming experience with more characters, new levels and missions, many more customization options and accessories, unique abilities and more. Remember that this is a digital product, not physical, meaning that you will receive by email the activation code for download directly from Steam, so you must have an account on this platform. 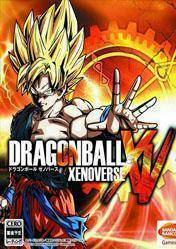 Once purchased the cd key of Dragon Ball Xenoverse, you must add the code in your library of Steam games. All shops that appear in the next comparative prices have been checked by our team, so they are totally reliable and legal. There are no comments yet about Dragon Ball Xenoverse Bundle Pack . You can be the first one! THIS NEW DLC IS INSANE! Dragon Ball Xenoverse 2 EXTRA PACK 1 Gameplay! ULTRA INSTINCT KAIOKEN X20! Dragon Ball Xenoverse 2 DLC 5 MOD Gameplay! DLC CHARACTERS AND STAGES ON THE SWITCH!!! Dragon Ball Xenoverse 2 for Nintendo Switch DLC Gameplay!